Regional salerooms have recently offered weapons with strong links to two of the best known British engagements: Waterloo and the Charge of the Light Brigade. A flintlock officer’s pistol carried at Waterloo by William Beckwith when he served as a cornet with the 16th Light Dragoons sold for £3500 at Tennants (20% buyer’s premium) in Leyburn on December 12. Both Beckwith, of Trimdon, Co Durham, and the pistol survived the 1815 battle in which his regiment made four charges against the French forces. Beckwith was later promoted to general and was high sheriff of Durham in 1857. The pistol was made by John Prosser of London and bore a brass plaque recording its part in the great battle. 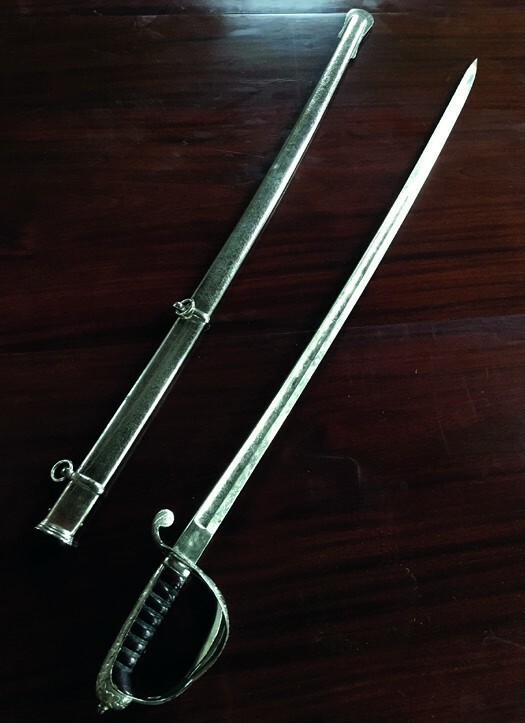 A cavalry sabre which once belonged to Major Soame Cambier Jenyns of the 13th Light Dragoons sold for £3400 at Willingham Auctions (21% buyer’s premium) near Cambridge on January 5. Jenyns was the senior surviving officer at the Charge of the Light Brigade. Although only a captain at the time, he rose through the ranks as his seniors fell to the left and right of him and limped home from the Russian guns as the officer in charge of the survivors. The sword was presented to him by the parishioners of Bottisham in Cambridgeshire, a fact recorded in an inscription on the blade.